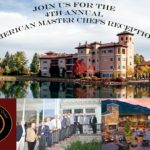 The Broadmoor extends an invitation to our American Master Chefs and their guests to the 4th Annual American Master Chefs Summit. Our luxurious resort is a AAA Five Diamond Resort located in Colorado Springs, Colorado. The resort features an award winning spa, championship golf, meeting space and much more. Our restaurants offer fine dining that celebrates modern innovation. The weekend events will offer an opportunity for AMCO chef members to come together to celebrate all things culinary while looking towards the future of our profession. We will celebrate “Becoming a Certified Master Chef”. 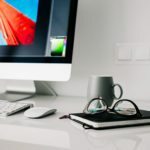 We will share with others what it means when you see “CMC” behind a chef’s name to know that they have put their all into their careers to bring the industry the best. 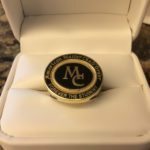 Many claim to be “Master Chefs” but there is only one way to become a Master Chef-through the American Culinary Federation. Join your peers as the Broadmoor rolls out the red carpet for our distinguished guests. We promise a weekend that will be a special memory for many years. 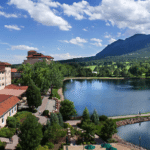 The Broadmoor is the longest consecutive winner of the Forbes Five-Star and AAA Five-Diamond awards for excellence. 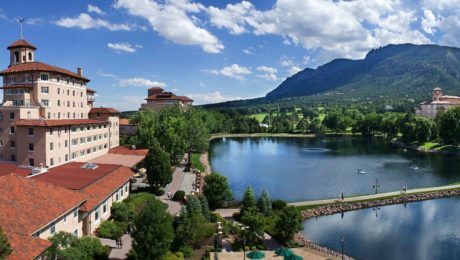 Situated at the gateway to the Colorado Rocky Mountains in Colorado Springs, the resort and Wilderness properties combined encompass 5,000 acres. The resort campus has 779 rooms and suites and includes three championship golf courses, a Forbes Five-Star spa and fitness center, nationally recognized tennis staff and program, 26 retail boutiques and 10 restaurants, including Colorado’s only Forbes Five-Star, AAA Five – Diamond restaurant Penrose Room, and 10 cafes and lounges.